Black Friday: Save on Naim Mu-so and Mu-so QB wireless speakers | What Hi-Fi? The Black Friday UK deals continue and this time it's the turn of some five-star Naim Audio products. Offered on sale at the start of the week, you can still save big on these excellent wireless speakers. You can save £200 on the Naim Mu-so speaker-meets-soundbar, it's down from its original price of £995 to £795. 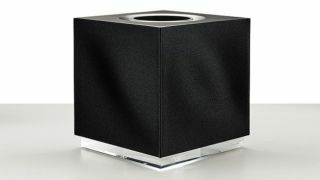 While the compact Naim Mu-so Qb (pictured, above) is reduced from £599 to £439, a £160 discount. We rate both speakers very highly indeed, having awarded both five stars for combining serious sound quality with a stylish design and the necessary wireless features and functions. If you're in the market for a new wireless speaker with hi-fi sound, now could be the time to strike. Click below to head straight to the deals.